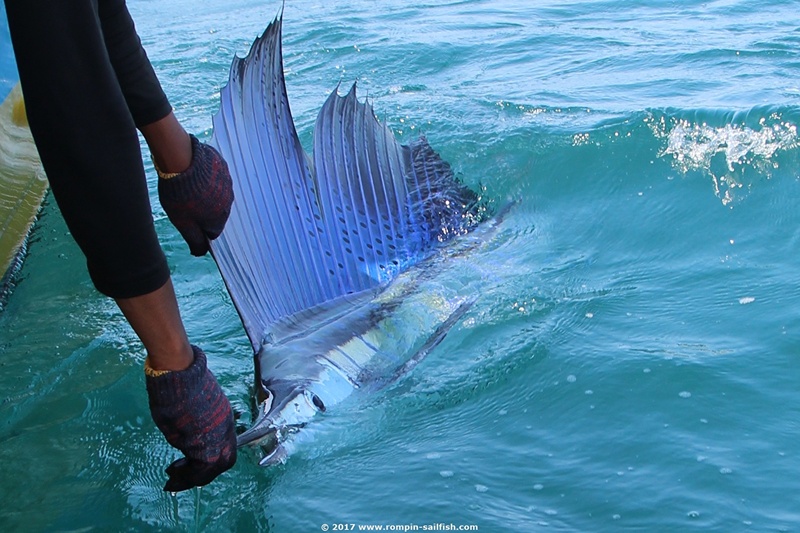 Kuala Rompin has become one of the top spots in the world for flyfisherman who wish to experience landing a Sailfish on a flyrod. The seas east of Kuala Rompin, are home to one of the largest aggregation of Sailfish found anywhere in the world. 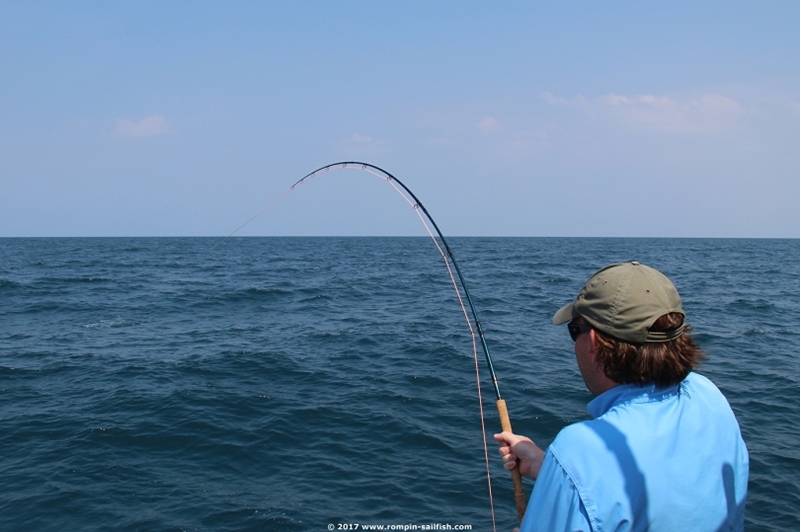 Tens of thousands of Sailfish feed on massive schools of baitfish between April and end mid-November. The number of raised Sailfish per day here, will probably be higher than anywhere else in the world. 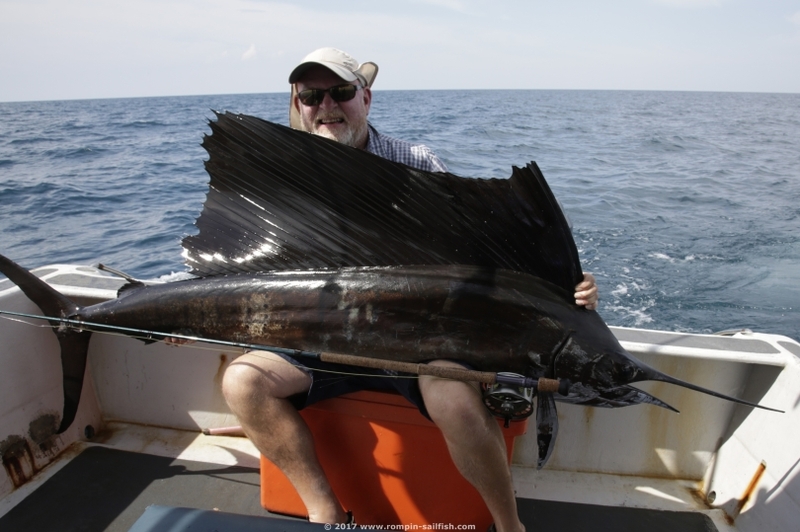 Magic Billfish charters arranges day trips out of Rompin for Sailfish and the peak season is from July to mid November. Trolling hook-less daisy-chain teasers are effective in making the Sails aggressive and bringing them to within the casting range. Oftentimes the Sails here become so aggressive that they can be teased all the way to the boat. We will suply TFO Lefty Kreh Bluewater Series Sailfish fly rods, Danielsson Control Infinity anti-reverse, state of the art saltwater fly reels, Sailfish fly fishing teasers and custom tied Sailfish tube flies with Cam Sigler popper heads, and crew with long time experience of teasing techniques for Sailfish. 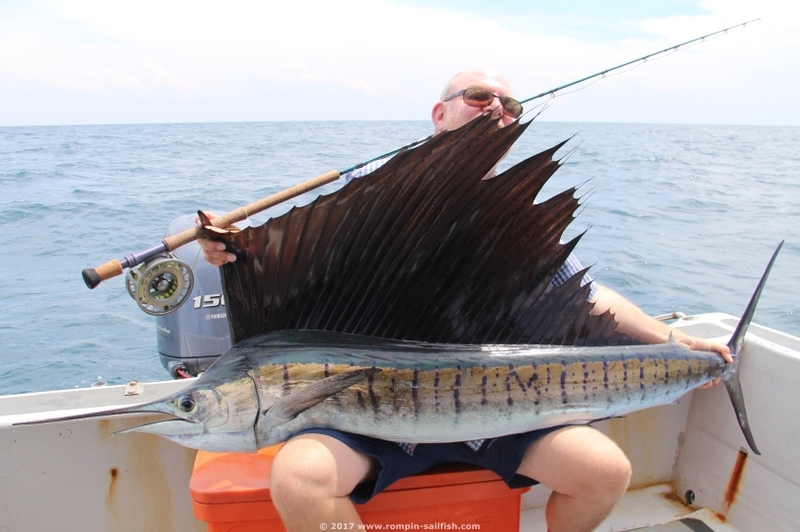 Kuala Rompin fly fishing day charters are priced at 860 USD for a private charter for the 2018 season. To confirm any dates we need a 50% deposit, the balance is to be paid in cash before departure. If you for any reason can not come we will book you in for another available date without any extra fees. We accept PayPal and TT bank transfers for the deposit payment (PayPal and bank transfer fees is not included in our rates). © 2017 Malaysia Fishing - All Rights Reserved.